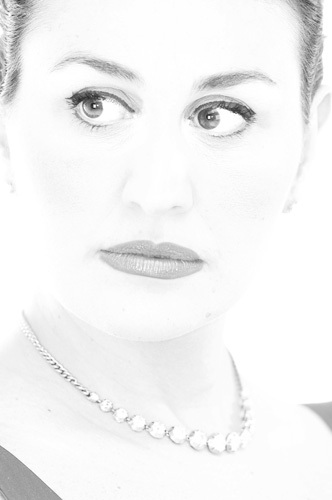 In recent years Micaela Carosi has made a name for herself as one of the most exciting and sought after Verdian voices of the international Opera scene. 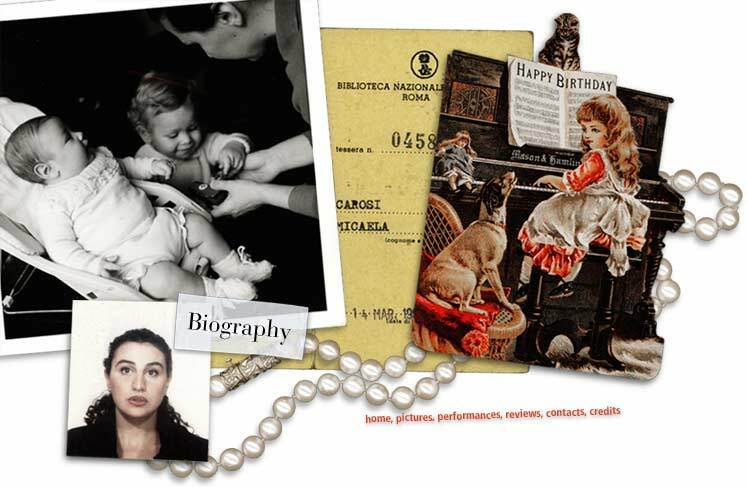 Graduated in Modern Literature and Music History at the University of Rome, Micaela Carosi has achieved a singingdegree with high distinction. 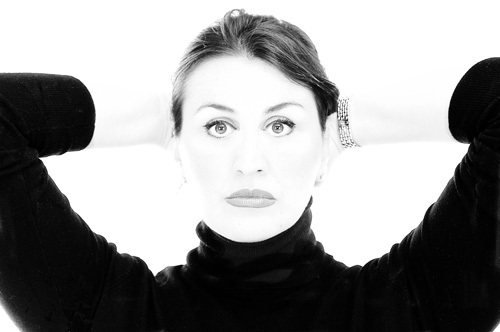 After her debut in Spoleto in 2000 as Leonora in Oberto Conte di San Bonifacio and as Desdemona in Otello by Verdi, in 2001 in occasion of the Verdi Centenary she was chosen by Franco Zeffirelli to interpret Aida at Teatro Verdi in Busseto. During the following years Mrs Carosi had debuted most of the principal roles for lirical-dramatic soprano: Abigaille in Nabucco, the title roles in Manon Lescaut e Tosca Lucrezia Contarini in I due Foscari (Teatro alla Scala in Milan under Riccardo Muti), Amelia in Simon Boccanegra, Leonora in Forza del Destino, Elisabetta di Valois in Don Carlo, Leonora in Il Trovatore, Cio-Cio-San in Madama Butterfly, Amelia in Un ballo in maschera, Andrea Chenier. 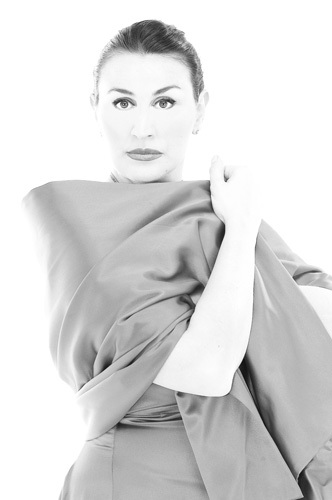 In 2006 she won the important award “Premio Abbiati” as best soprano for her interpretation of Aida ( Teatro Regiodi Torino) and Madama Butterfly (Teatro carlo Felice di Genova). During the season 2007/2008 she made her debuts at the Opernhaus Zurich with Andrea Chenier, at Royal Opera House of London with Tosca (under Antonio Pappano), at Metropolitan Opera with Aida (under Kazushi Ono). In the same season she sang Verdi’s Requiem in Valencia (under Lorin Maazel). Season 2008/09 opened with her debut as Norma in Montreal and in Rome at the Accademia Nazionale di Santa Cecilia (both under Kent Nagano). 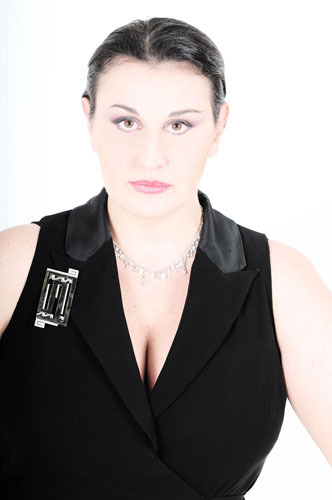 After Tosca at the Staatsoper Unter den Linden in Berlin, she sang the role of Elisabetta in Don Carlo at Teatro alla Scala in Milan, under Daniele Gatti. 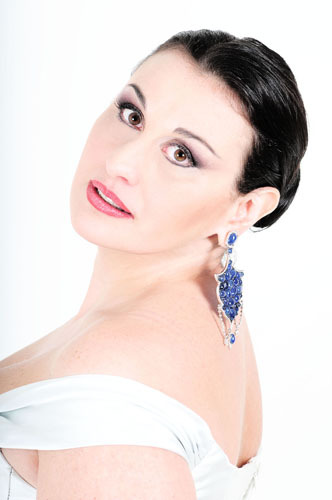 Her engagements continue with Madama Butterfly in Vienna and later in Venice, Andrea Chenier in Montecarlo, Tosca at Teatro Regio of Parma, Adriana Lecouvreur in Turin, Don Carlo on tour with Teatro alla Scala in Japan. Among her recent and future engagements: Andrea Chenier in Paris, Madama Butterfly and Manon Lescaut in Berlin, Un ballo in maschera in Bilbao and later in Wien, Aida at Covent Garden of London, in San Francisco and Monaco, La forza del Destino in Wien, Madama Butterfly in Paris, Il Trovatore in Tel Aviv, Attila at Teatro alla Scala.